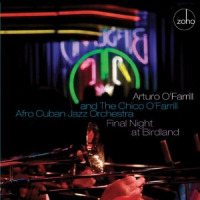 Bandleader Chico O'Farrill created a template of sorts, fusing big band bravura with Latin sounds in his Afro Cuban Jazz Orchestra. 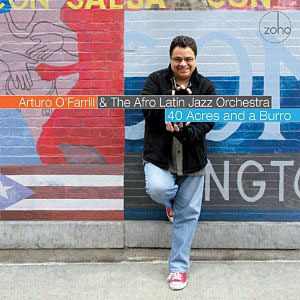 While his son followed in his footsteps, Arturo O'Farrill has demonstrated a broader vision, looking past the island of his origins and developing a pan-Latin approach to jazz repertoire for his appropriately named Afro Latin Jazz Orchestra. 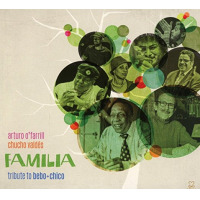 With this in mind, O'Farrill finds inspiration in music from Brazil (Pixinguinha's "Um A Zero" and Hermeto Pascoal's "Bebê"), Peru (Gabriel Alegria's "El Sur"), Argentina (Astor Piazzolla's "Tanguango") and beyond ("She Moves Through The Fair") on 40 Acres And A Burro. While these inclusions indicate that musical globetrotting through Latin America is clearly one part of this package, O'Farrill's originals, which lean toward his Cuban roots ("Ruminaciones Sobre Cuba") and honor important Hispanic figures like Sonia Sotomayor ("A Wise Latina"), are equally important. 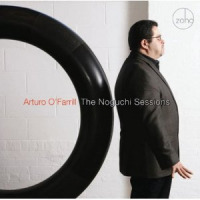 Using his large ensemble, and augmenting the group with various guests for different tracks, O'Farrill is able to create different musical scenarios from piece to piece. Paquito D'Rivera's clarinet gleefully dances on Pixinguinha's choro tune ("Um A Zero"), and the clarinetist trades solos with baritone saxophonist Jason W. Marshall on "Bebê." Heather Martin Bixler reprises her role from The Auction Project (Zoho, 2010), as she delivers another emotionally riveting take on the Irish traditional, "She Moves Through The Fair," and Yuri Juarez adds some brief, harp-like insertions with his guitar on "El Sur." While these visitors, along with several other guests, enliven the material, the real stars of the show are the arrangers. Saxophonist David Bixler brings a haunting quality to "She Moves Through the Fair," Michael Philip Mossman hits solid gold with his bold work on "Tanguango" and "A Night In Tunisia," and O'Farrill demonstrates his outstanding composing and arranging skills during his two multi-section masterpieces. "A Wise Latina" moves from Bomba rhythms to more majestic environs, ending up in a locale where the percussion can cut loose and Jim Seeley is left to deliver trumpet fireworks, while the title track is built on caricatures, like woozy drunken mariachi music and vocal calls for "beans and rice." 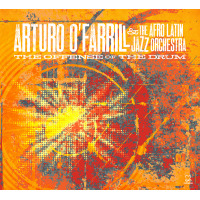 Throughout the program, the Afro Latin Jazz Orchestra demonstrates a signature flair for all things spicy, and Arturo O'Farrill continues to define the sound of his own creation, which can simply be called all-inclusive Latin jazz. Track Listing: Rumba Urbana; A Wise Latina; Almendra; Um A Zero; El Sur; She Moves Through The Fair; Ruminaciones Sobre Cuba; Tanguango; Bebê; A Night In Tunisia; 40 Acres And A Burro. Personnel: Arturo O'Farrill: piano; Ricardo Rodriguez: bass; Vince Cherico: drums; Roland Guerrero: congas; Joe González: percussion; Bobby Porcelli: alto saxophone; David DeJesus: alto saxophone; Ivan Renta: tenor saxophone; Peter Brainin: tenor saxophone; Jason Marshall: baritone saxophone; Seneca Black: trumpet; Michael Philip Mossman: trumpet; Jim Seeley: trumpet; John Walsh: trumpet; Reynaldo Jorge: trombone; Tokunori Kajiwara: trombone; Earl McIntyre: trombone; Gary Valente: trombone; Paquito D'Rivera: clarinet (4, 9); Gabriel Alegria: conducting; Pablo O. Bilbraut: guiro (3, 7); Heather Martin Bixler: violin (6); Hector Del Curto: bandoneon (8); Yuri Juárez: guitar (5); Freddy "Huevito" Lobatón: cajon, cajita, quijada (5); Sharon Moe: french horn (2); Jeff Scott: french horn (2); Guilherme Monteiro: guitar (4); Adam O'Farrill: trumpet (7).